Show at 8:30pm, tickets are $12 adv/$15 door and are available here. 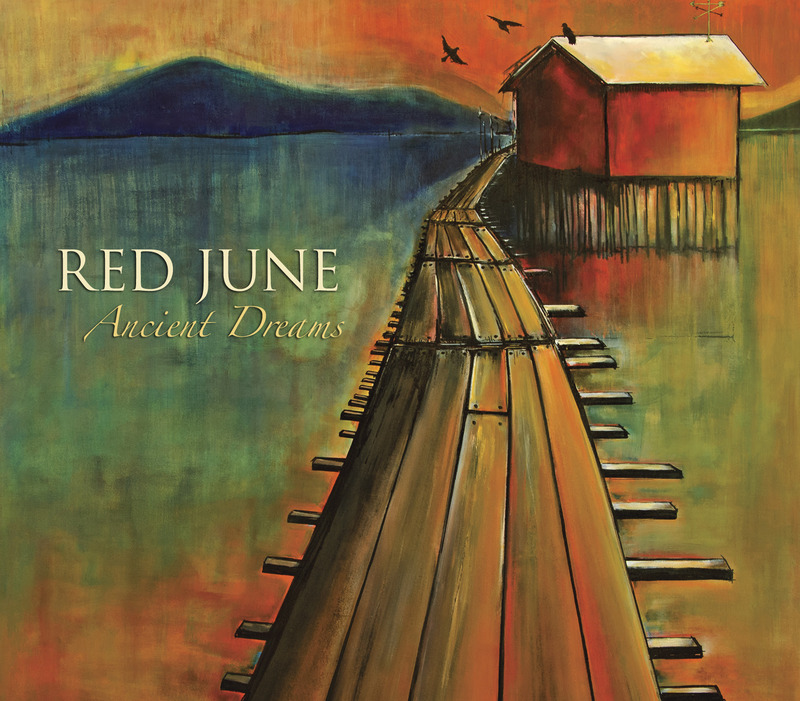 Powerful acoustic trio from Asheville, North Carolina, Red June released their third album Ancient Dreams on Organic Records April 15, 2014. They celebrate in Asheville at Isis Music Hall on Friday, May 16th for a special performance. Purveyors of original music created in a traditional style, Red June performs beautifully distilled original music. The band is known for a dynamic, yet refined sound that features striking three-part harmonies, tasteful instrumental work, and honest, soulful songwriting that seamlessly blends bluegrass, old-time, country and American roots music. 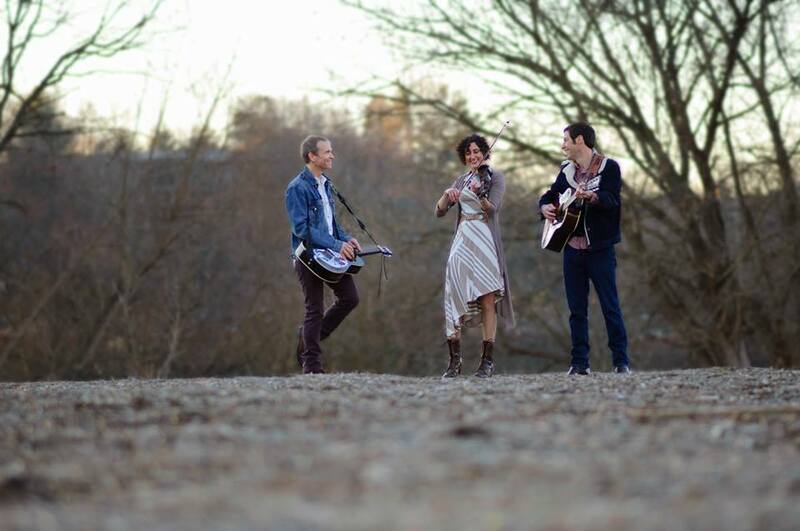 Ancient Dreams is illustrative, honest and exquisitely crafted; it features the talents of Will Straughan (resonator guitar, guitar, mandolin and vocals), Natalya Weinstein (fiddle and vocals) and John Cloyd Miller (mandolin, guitar and vocals). The album was produced by Tim Surrett of the award-winning band Balsam Range; he also contributed some stellar bass playing on some tracks. Imagine opening your front door on a mid-summer morning. Instead of your familiar scene, you walk out onto an old wooden porch facing east as the sun starts to rise. The day’s first light hits your eyes and your ears are filled with the close, warm sound of a mandolin. As you try to figure out how you got here, you realize it was by simply listening to the leadoff and title track of Red June’s Ancient Dreams. The best thing is, this is not the only world you visit while listening to this North Carolina-based trio’s third release. Like your best dreams, nocturnal or daytime visions, Red June’s music has a transformative power that is the result of the pastoral story-songs which hold an underlying familiarity. It is music and songwriting that is instantly comforting, thought-evoking with relatable themes, even if they are not always obvious on the surface. Like their namesake heirloom apple variety, Red June has strong roots in the Appalachian tradition while constantly forging new ground in American music. With Ancient Dreams, the trio collaborated with fine artist, Nancy Hilliard Joyce, who created the original album art: a pastoral painting that captures the idyllic tones within. Preview and purchase Ancient Dreams today at Organic Records, iTunes, and AmazonMP3. For more information and tour dates, please visit RedJuneMusic.com. John Cloyd Miller won first place in the 21st annual Chris Austin Songwriting Contest in the bluegrass category at MerleFest 2013. 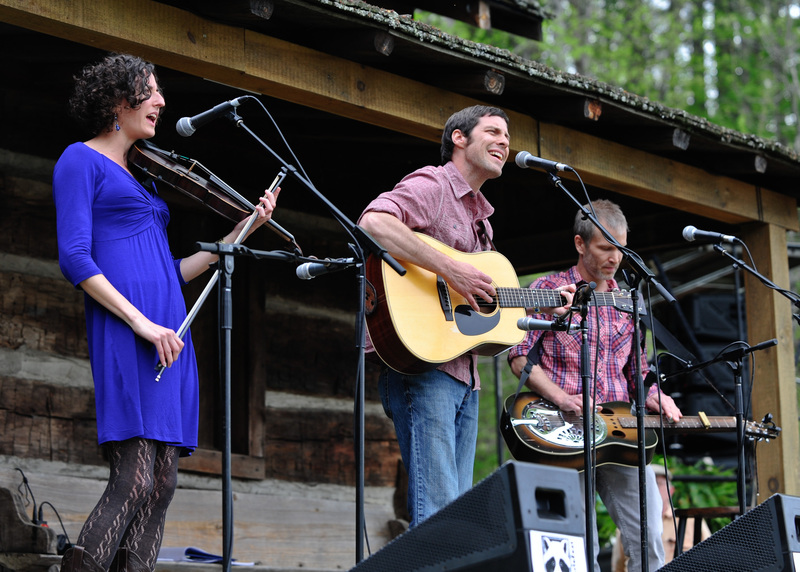 Miller is a vocalist, guitarist and mandolin player for the Asheville-based band, Red June, a nationally touring acoustic Americana trio that includes his wife, fiddler and vocalist Natalya Weinstein, and multi-instrumentalist and vocalist Will Straughan. The winning song, “Cloud of Dust,” appears on Red June’s 2012 sophomore release, Beauty Will Come. “‘Cloud of Dust’ highlights the frustrations and resolve of a young man during the Dust Bowl of the 1930s.” John says, “This song tells the story of what happens when we abuse our land.” Red June kicked off 2013 with the release of a music video for the song which features powerful archival footage from the Dust Bowl. John Cloyd Miller. Photo by Terry Manier. The Chris Austin Songwriting Contest offers songwriters the opportunity to have their original songs heard by a panel of professional songwriters and others from the Nashville music industry. The 2013 winners were chosen from more than 700 entries. Winners in the Bluegrass category included 1st Place – John Cloyd Miller’s “Cloud of Dust” (Asheville, NC); 2nd Place – Todd Grebe’s “Master of My Destiny” (Nashville, Tenn.); and 3rd Place – Aaron Burdett’s “Magpie (Saluda, NC). Previous winners of the Chris Austin Songwriting Contest include Gillian Welch, Tift Merritt, Michael Reno Harrell, Adrienne Young, Martha Scanlan, David Via and Johnny Williams. “The talent this year was amazing!” says Laurie Brintle-Jarvis, coordinator of the Chris Austin Songwriting Contest. “They gave an inspirational performance on the Cabin Stage on Friday evening, sharing their talents and enthusiasm with the crowd.” For more details about the contest, visit www.MerleFest.org/ChrisAustinSongwritingContest. 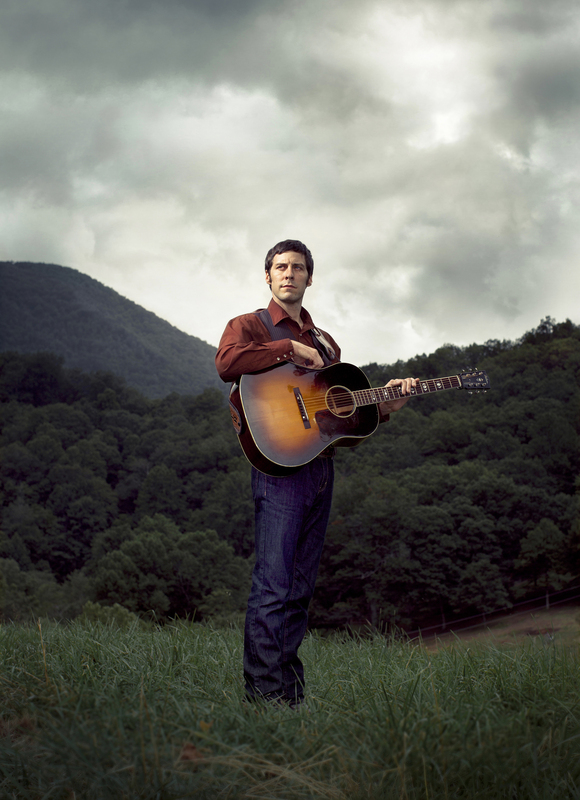 A native of Hickory, NC, Miller’s musical background includes deep roots in bluegrass. A self-taught musician, he grew up listening to his grandfather, legendary bluegrass fiddler and NC Folk Heritage Award winner, Jim Shumate. After graduating from Appalachian State University, Miller moved to Utah and joined the bluegrass band Lo-Fi Breakdown. Eventually the band relocated to Asheville, NC, and continued to perform until early 2009. Around that same time, Miller, Weinstein, and Straughan formed Red June (named after an heirloom apple variety), a group that emphasizes songwriting while combining elements of bluegrass, old-time, country and American roots music. “Beauty Will Come by Red June just may be the most stunningly gorgeous country album in years. Everything about it: from the exquisite three-part harmonies and acoustic loveliness of the mandolin, fiddle, guitar and upright bass…This is the epitome of Americana…” says Mike Greenblatt with Rant’n’Roll Aquarian Weekly. For more information, visit www.redjunemusic.com or www.johncloydmiller.com. They also made an appearance on UNC-TV’s North Carolina Weekend last month, here is a link to the segment. w/ special guests joining in tba! Asheville NC’s Red June is well underway to becoming a long-time southern favorite, akin to the Appalachian heirloom apple from which they glean their name. 2012 was a big year for the band; they released their second studio album, Beauty Will Come, to high acclaim, and performed at dozens of other shows and festivals all across the country including the renowned Music City Roots show, Suwannee Springfest and the 25th Anniversary MerleFest. They also performed an official showcase to a packed house at the Station Inn in Nashville for the Americana Music Association conference and were featured with a full-page photo of band member John Cloyd Miller in Southern Living magazine. 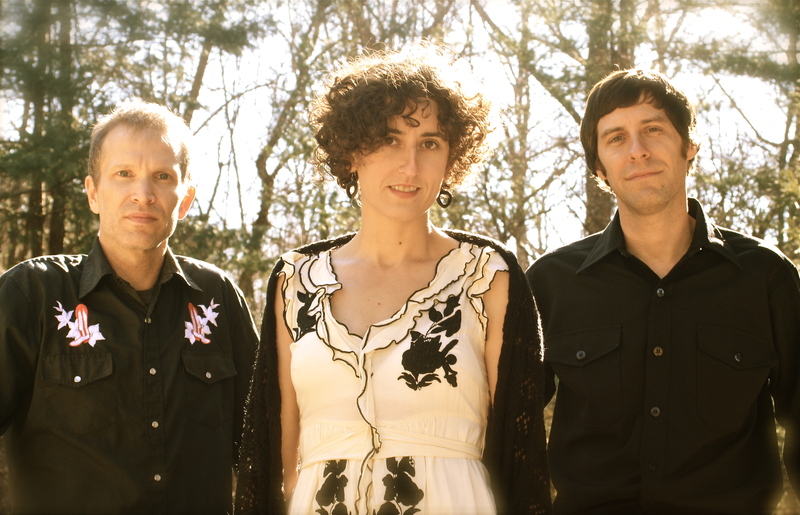 Red June is Will Straughan on resonator guitar, guitar and vocals, John Cloyd Miller on mandolin, guitar and vocals, and Natalya Weinstein on fiddle and vocals. The three have been longtime friends, and first jammed together at an Asheville party in 2005. In late 2008 they formed Red June and went on to release their debut, Remember Me Well, in 2010. The album was very well received, and was voted the #1 regional release of 2010 by the listeners of the southeast’s premier independent radio station, WNCW. With their dynamic, yet refined sound featuring striking three-part harmonies, tasteful instrumental work, and honest, soulful songwriting that seamlessly blends bluegrass, old-time, country and American roots, the band is constantly breaking new musical ground. Special thanks to videographer Jess Hamm for recording the entire show from Red June‘s album release party at The Altamont Theatre in downtown Asheville! I’ve posted a few below and you can find the rest on YouTube! Red June Releases “Beauty Will Come” Releases Today! Red June releases their second full length album, “Beauty Will Come” TODAY Tuesday, June 5th! 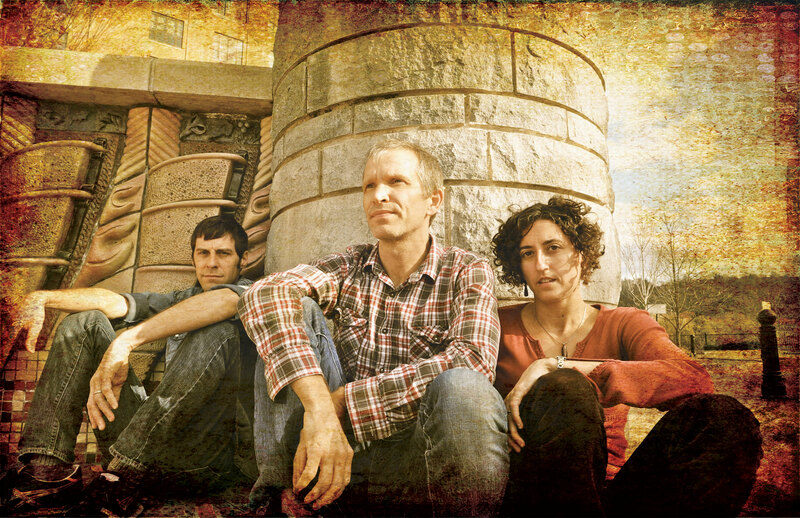 Red June is Will Straughan on resonator guitar, vocals and guitar; Natalya Weinstein on fiddle and vocals; and John Cloyd Miller on mandolin, vocals and guitar. Red June is based in Asheville, NC.